This is your master contract and will be sent to you via email as with as Adobe E-Contracts for you to fill out and complete. Once this has been signed you will be able to pay the deposit on your event and be fully booked. Please make sure that the information on the top of the form is correct as it will indicate date, time and physical location of your event. This form will need to be filled out by every one who will be playing at your party. 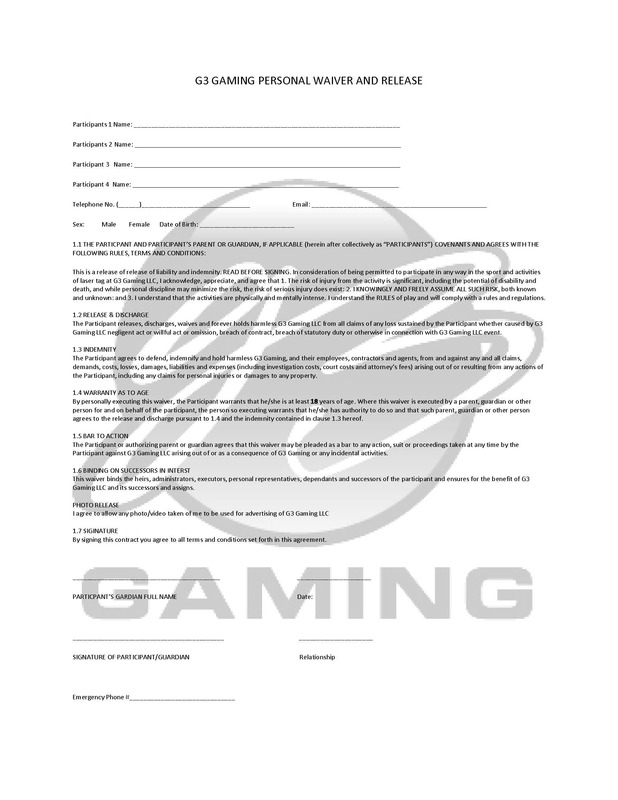 You can email, print or e-sign the form prior to your event so we can be ready to game. You can have up to 4 participants on one form. Don't forget that you can not play if you do not have one filled out. They are good for a year!